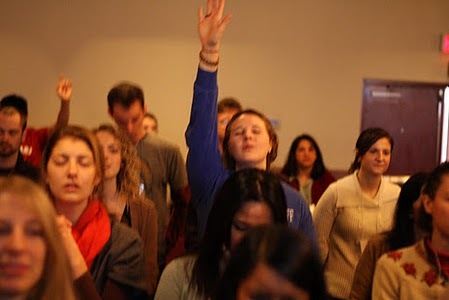 The most obvious sign of your prayers was Drexel’s campus fellowship time on Saturday evening. Dr. Kim, our speaker for the weekend, had just challenged us to think about what “sacrificial living” looks like for us as individuals. As we transitioned to our campus time, most of us had a strong sense that God was leading us as a group to be hungrier for him than we have been before, and that He wants to do more in and through us at Drexel. Just after that time, one of the student leaders approached me and shared that he wants to step up and lead more boldly. I had the chance to encourage him that this season of renewal is a perfect time for him to do that, and he has really responded. He and another student have challenged the group to begin fasting during Wednesday lunch times, and already 9 of us have signed on, eager to see what God will do. I’m excited because this is what discipleship is all about: coming alongside others and empowering them to impact others for Christ! A physician from Philadelphia came down to the conference on Saturday, and we had a fantastic conversation late into the evening to begin discussing ways he can become more involved in our local leadership. The conference speaker pulled me into a circle of students to start talking about ways I can be a resource as they try to start a medical outreach in New York City this spring. Another student and I had dinner to catch up and follow-up on an email he had sent me. He’s been deeply connected to our family through our bible study dinners, and wanted to know more about how he can support us as he starts to earn “real dollars” during residency. We were humbled by this expression of love and commitment. It was also a testimony to the investment one of our council members had made in him, challenging him to use his resources for the kingdom. Several of our students, from many different campuses, got together during the conference to see how they can work in a more coordinated way back home. Already they have planned a follow-up meeting, which I hope to participate in, later this month. By bringing people together in one location and casting a kingdom-sized vision, Winter Conference serves as a springboard for ministry well after it ends. Thanks again for making it possible for me to be there. Your investment in our family is reaping eternal rewards that only He can fully comprehend! Praise for an absolutely wonderful conference! The conversations mentioned above were just a small sampling of what God did! 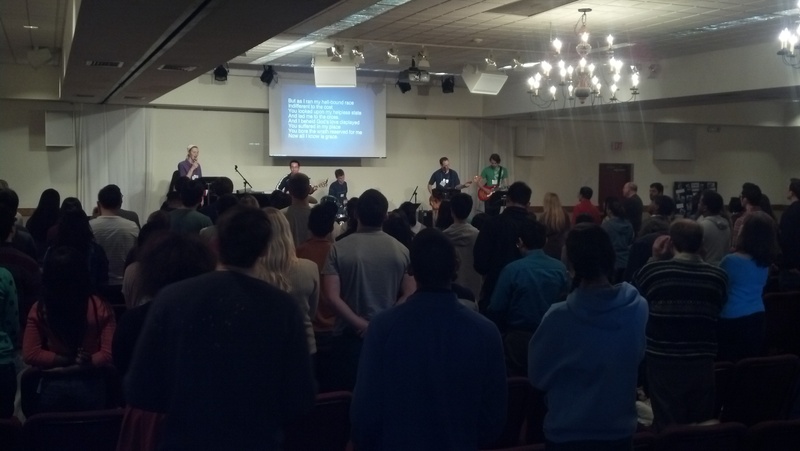 Pray that God continues to bless Drexel’s fellowship as it responds to His work at the conference. Pray also that our fasting would be a true response to Him, and result in greater dependency and prayer, rather than be something we ‘just do.’ Ask God to give me wisdom as I seek to be a wise resource for the student who would like to lead even more effectively. Pray that God gives the local physician I mentioned above, and our council, wisdom as we prayerfully discern the role God is calling him to within our ministry. Pray for the students who are hoping to work together more to grasp God’s vision, and, to have the courage and perseverance to follow Him wherever He leads. Pray also that He would give me, and others in the city, wisdom to support and guide them well. Praise God for a fantastic year-end giving season. Although our budgetary needs have risen substantially the past few years, God has provided for them all. This means I can now work on growing a small reserve for our account and funding whatever new initiatives He is calling us to! Thanks to all of you who have been so very generous! Finally, pray for a local medical outreach (sponsored by MCO) I’ll be participating in this Saturday from lunch until dinner. Located in the same neighborhood as SMI Philly, this is an exciting opportunity to connect with some of our key students, love the community for Christ, and learn how to share our faith more effectively! As I write, the first of 170 students, physicians and other healthcare workers from around the Mid-Atlantic region are slowly filtering in here at Sandy Cove, the site for our annual Winter Conference. 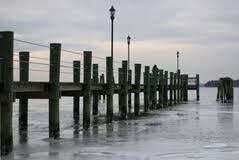 Located on the shores of the Chesapeake, Sandy Cove provides an ideal backdrop for a restful getaway. Pray for God to pour out His Spirit on our time here – everything that’s good, and lasting, comes from Him. Pray that God would give those who come deep rest. The students in particular are exhausted from a grueling semester, and another one is already underway. Pray for me as I have conversations throughout the weekend. Over 50 are here from Philadelphia, so this is a strategic time of connection for me. Pray that I would be sensitive to God’s Spirit on a moment-by-moment basis! Pray for our speaker, Dr. David Kim, a physician who leads a community health center in Staten Island, NY. (For those of you who are familiar with Esperanza in Philadelphia, they are very similar). His theme is “Faithful God, Faithful Presence”, and we all need to be re-impacted by what he will share. Pray that God would use the Christian community here to strengthen, encourage and challenge itself. We are trusting that God will be at work during simple interactions over mealtimes, free time, and late-night talks. That’s all for now. Thank you so much for standing with me in prayer! 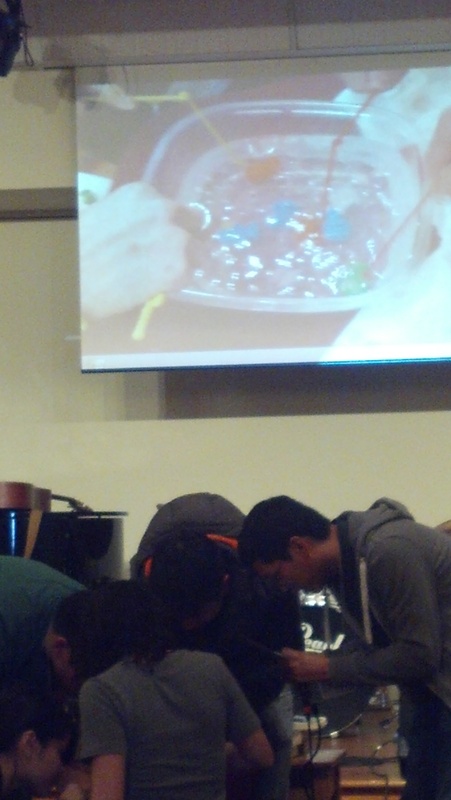 the speaker challenged everyone who came to step back to think and pray about God’s specific purpose for their lives. With medicine being so intense, this “bigger picture” praying and thinking is absolutely critical. 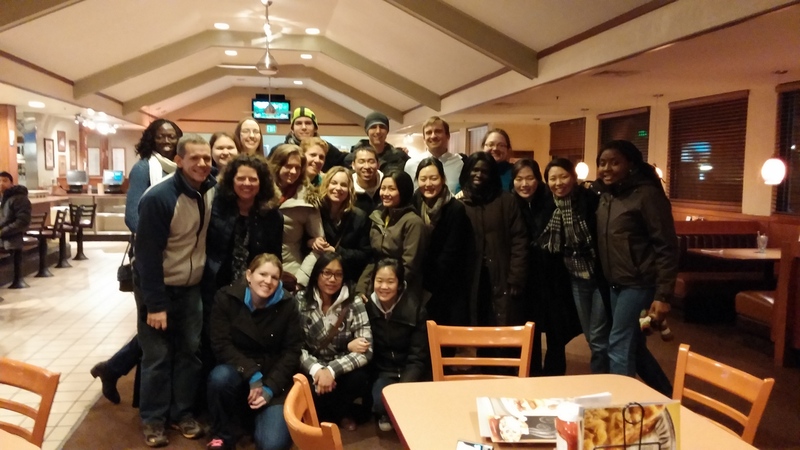 the weekend for me was essentially one big conversation with many students and physicians! I was able to have in-depth, undistracted conversations with nearly every one of my key students who were able to come. From a student who knows the Lord, but has been disconnected from Him, and the campus fellowship: “This weekend has been really good for me. I’m going to be more involved with the fellowship back on campus now.” I also had the chance to speak about this student with his father, a physician who was attending the conference. I led a communion service on Sunday morning that God blessed richly. It was a wonderful way to seal God’s work in us throughout the weekend. God used the many interactions I had with students throughout the weekend to get many excited about our medical bible study and dinner, hosted in our home, coming up this Saturday. We expect our largest crowd ever! As you can see, God was at work in powerful ways, no doubt largely due to your prayers. Please pray for me as I encourage the students to live out what they learned, as well as for our bible study and dinner this Saturday at 6pm. Thanks so very much for your prayerful partnership! PS Please pray for Sharon and the kids, who were unable to join me due to illness. 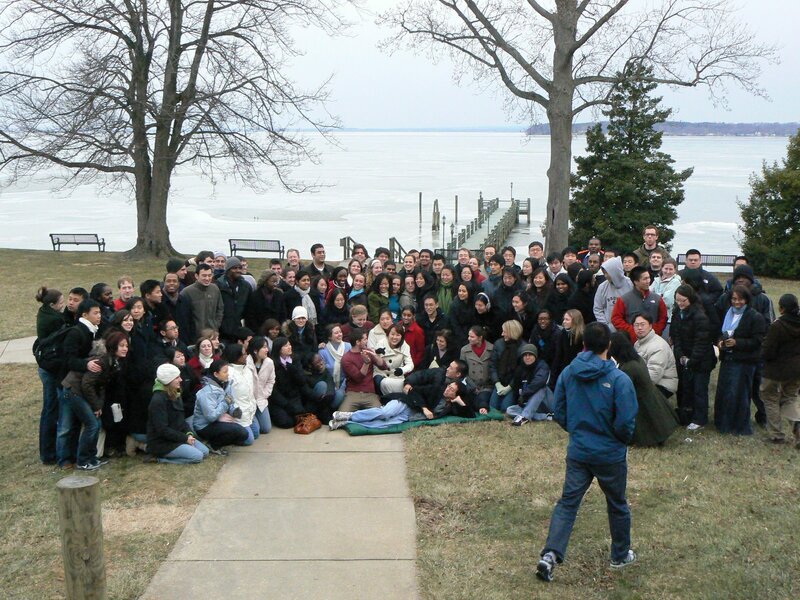 In just six hours, 160 students and healthcare professionals from all over the mid-Atlantic region will be coming to Sandy Cove Conference Center for our Northeast Regional Winter Conference. Always a highlight, they come to hear great teaching, participate in small groups, enjoy fellowship, and relax. 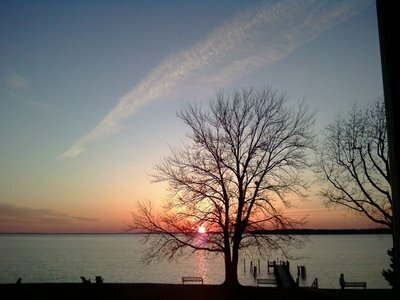 With the Chesapeake in the background, the sun sets at Sandy Cove. This year’s theme is “If Anyone Would Come After Me: A Call to Consecration, Commitment, Conscience, and Commission”. 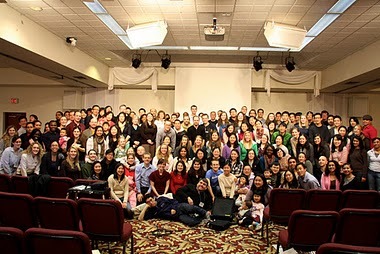 It gives healthcare professionals a chance to step back and ask themselves questions like, “Who am I in Christ?”, “Why am I in healthcare?”, and “To what has God called me as a follower of Christ?” Since their typical pace of life is so frenetic, the conference is an essential opportunity for much-needed reflection and redirection. for God to powerfully meet with, impact, and refresh, each student and healthcare professional who attends. In particular, that He would help them re-ask the sort of “big” questions I mention above, and then help them to make any changes He’s calling them to. We’re aiming for long-term transformation! for our speaker, CMDA CEO Dr. David Stevens. He’s a tremendous speaker, and yet he needs the Holy Spirit to empower his messages. for Sharon and the children, who will join me on Saturday. Pray for the many interactions Sharon will have with the students, and that God would use our family to give the students a tangible ‘portrait’ of what a Christian family can look like. for me, as I talk with students throughout the weekend. Our conversations are opportunities for me to encourage and challenge them, and give me many prayer and ministry concerns to follow-up on later. Pray also that the messages would help me help the students in this regard. Finally, pray that God would bless my administrative and worship-leading roles over the weekend. Thank you, friends, for standing with me during the weekend. Let’s expect – and pray for – God to do great things! 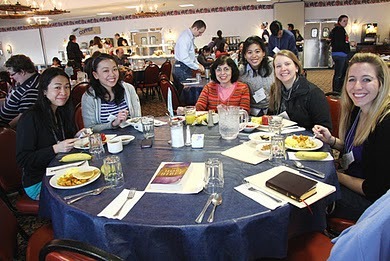 We’ve just returned from Winter Conference and had an absolutely wonderful time. God was clearly at work, and we’d love to tell – and show – you how. What is Winter Conference? It’s an annual, three-day conference for healthcare students and professionals in the Northeast, including many from Philadelphia. The conference takes place at Sandy Cove Conference Center (one hour south of the city) and exists to provide much-needed opportunities for teaching, fellowship, worship and refreshment. This year, approximately 170 were in attendance (see above, upper right)! One of the primary goals of the conference is to help students and professionals connect their lives in Christ to their callings in healthcare. This is absolutely essential because their training insists that their faith has little or no place in their practice of medicine. Jesus, however, came to “proclaim the kingdom of God and to heal”, and told his disciples to follow His example (Luke 9:2). This year, Dr. James Avery gave three talks emphasizing both the need for Christians in healthcare to care for the body and soul, as well as the power Christ provides for this noble calling. They were the best talks I’ve ever heard on what it looks like to practically share your faith with patients in a way that is both natural and respectful. I had the privilege of concluding the conference with a fourth message on this theme (pictured above, lower left). 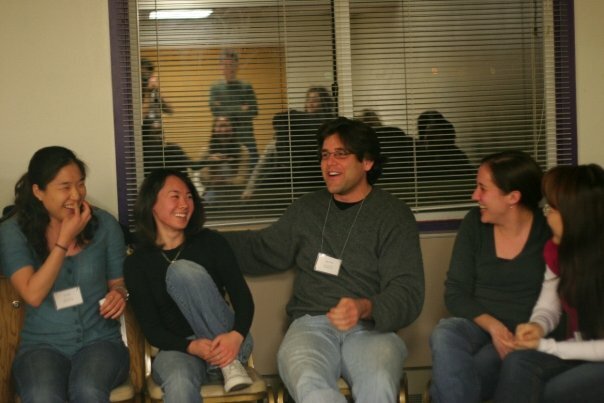 In addition to receiving solid teaching, those who attended the conference also had many opportunities for fellowship – both with the Lord and one another (see above, lower right). In this regard, the timing of the conference is everything. Midway through the academic year, many students come to the conference spiritually depleted from intense coursework, exam schedules and clinical training. By the end of the weekend, they have experienced the life-giving, but often forgotten, reality of God’s presence and support of their peers and other professionals. This year, I had the pleasure of giving (and receiving) spiritual encouragement to many in the form of countless conversations and prayer times. I was thrilled to have my family join me for part of the weekend as well. Although our stage of life limits their involvement to some extent, we remain committed to a vision of ministry that includes our entire clan! At many points throughout the conference, we had an opportunity to respond to the talks through times of praise and worship. It was renewing and powerful to “enthrone God on (our) praises” (Psalm 22:3)! With all the time for teaching, fellowship and worship, we still had plenty of room for some much-needed fun and refreshment. We enjoyed swimming, a bonfire, and other forms of recreation like football (see above, upper left) and basketball. Everyone had a phenomenal time! On a final note, the value of Winter Conference will extend well beyond its formal conclusion both for the students and my ministry to them. It was a special opportunity to reconnect with many local students, and I will follow-up with them back here at home. I have a better sense of how I can pray for them, and what their most pressing needs are. 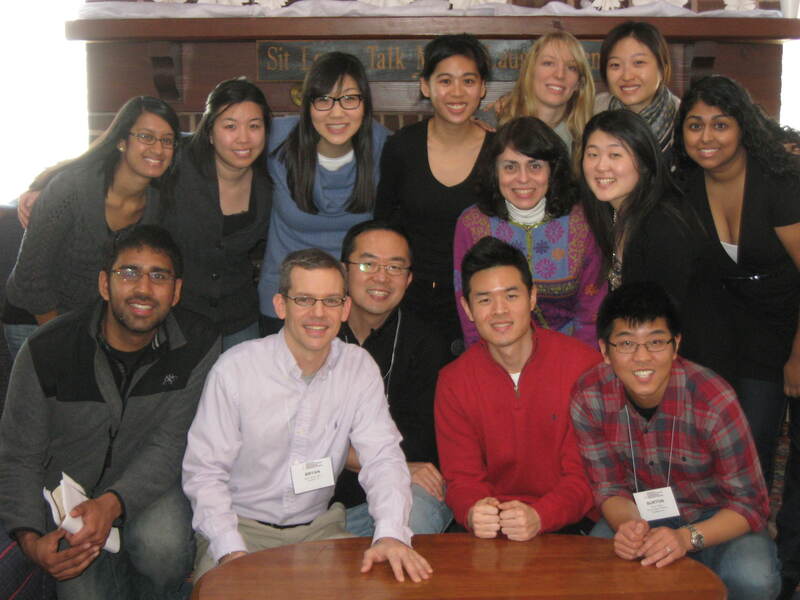 And I have more tools to offer them as they seek to integrate their faith in Christ with their lives in medicine. Thanks so much for investing in our family so that we can invest in these key students and professionals. We are truly grateful for each and every one of you! 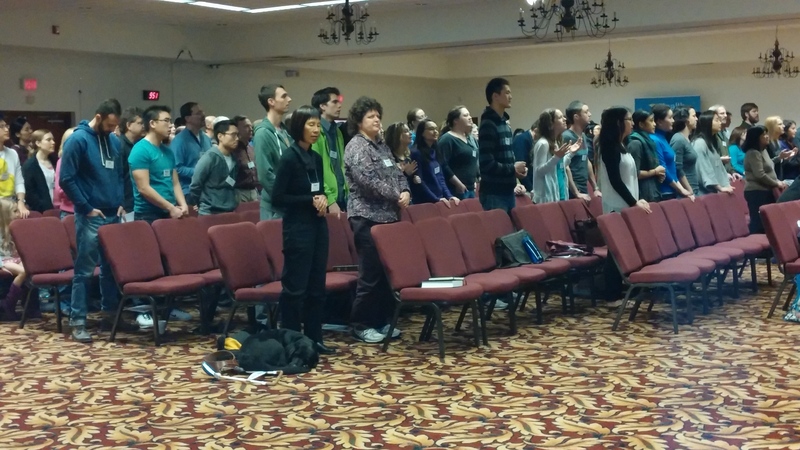 * Praise God for an absolutely wonderful Winter Conference! This is one of the high points of the year for me ministry-wise. Please pray that the work God did there would continue now that the conference has ended. * Praise God for his ongoing blessing on our work at PCOM (the medical school where I minister). The men’s bible study has been deepening, as have my relationships with those who come. Praise God also for a message I gave at their commissioning ceremony this past Friday night. It was exciting to see so many students clearly professing their desire to Christ through healthcare. 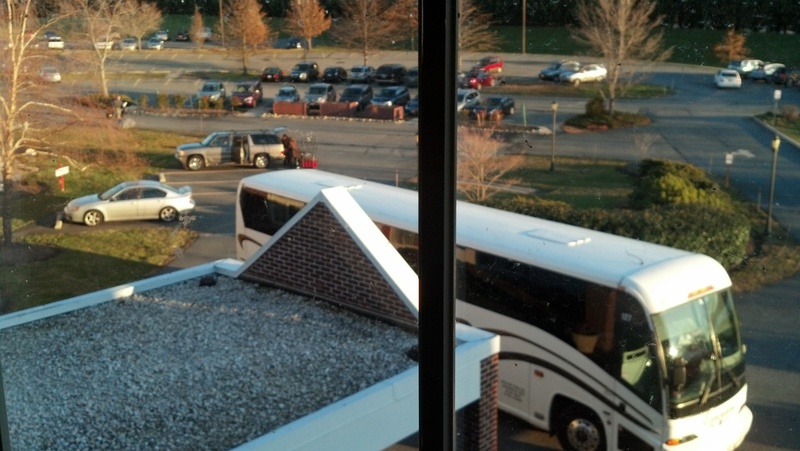 Please pray for the students, as a leadership transition will soon take place, and for me as I guide them through it. We’re meeting this coming Tuesday for an important, initial discussion. * Praise God that Sharon’s pregnancy continues to go well as we approach a mid-April due date. Please pray that her gestational diabetes will not affect her or the baby negatively. Please pray as well for wisdom with getting our home ready – we will probably have to be creative and “make” an extra bedroom in the basement. * Please pray that God gives us clear guidance as we discern His next ministry calling as this transitional year starts to wind down. At this point, we can share that Bryan does not feel led to pursue a solo pastoral calling (i.e., being the only pastor at a given church), and that focusing on full-time, discipleship-oriented medical ministry in Philadelphia is the leading candidate moving forward! At the same time, we want to be certain we are following the Lord’s leading, so keep us in prayer over these next few months, as we hope to have a final direction before the baby arrives.